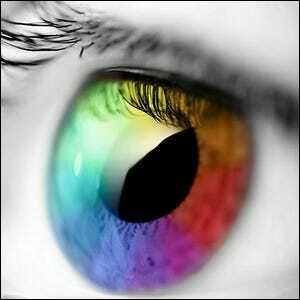 What Genetic Condition Enhances A Person’s Perception Of Color? The Official Timezone Of The South Pole Is? The various types of color blindness and other perception-reducing maladies are well familiar to most people; given the prevalence of color blindness in men, it’s quite probable that several of the men in your familial and social networks have it to some degree. Lesser known (and in fact undocumented before the 1990s) is a perception-enhancing genetic condition known as tetrachromacy. While scientists had been aware of tetrachromatic vision in animals–some birds are able to see in color as we do, plus ultraviolet–it had only been theorized that a human being could have some sort of tetrachromatic abilities. Observations over the last two decades, however, have established that tetrachromacy does exist in humans but only in women. Studies peg the occurrence of tetrachromacy at 2-8% of the female population. How does a tetrachromatic see the world? A normal human has a set of three color-detecting cones: red, green, and blue. Each cone set can pick up about 100 colors and, when all three are combined together by the brain, we can see about 1 million different unique shades of color. Tetrachromats have a fourth cone cluster that exists on the color spectrum between red and green. This extra set of cones adds in another 100 potential shades of color and boosts the potential combinations of to 100 million unique shades. Where as the average person sees 5-7 shades of color in the rainbow a tetrachromat would see 10 or more. Ironically, the easiest way to find tetrachromatic women is to look for colorblind men. The same genes that cause color blindness in men by providing an over abundance of green and red cones are linked to the extra set of cones in women. The mothers of colorblind men are radically more likely to have tetrachromatic mothers.